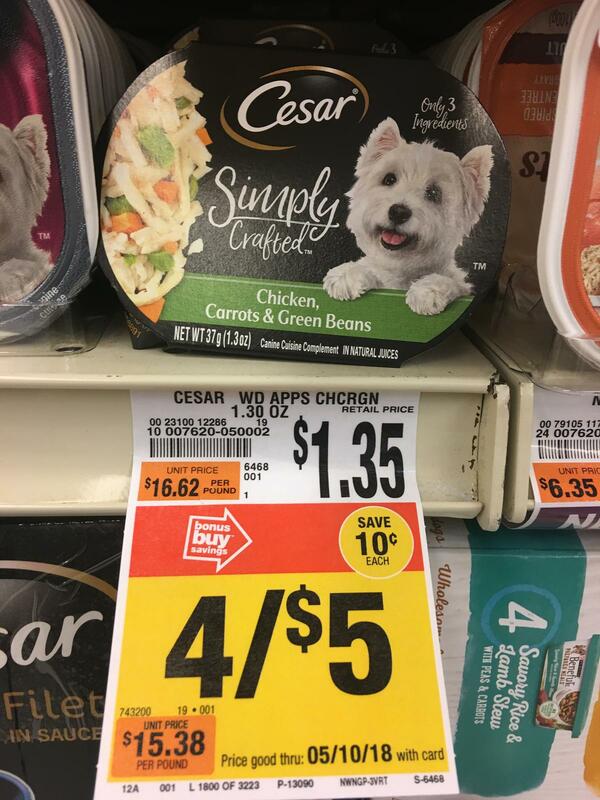 Giant/Stop & Shop: FREE Cesar Dog Food Thru 5/14! Giant has Cesar Dog Food like Cesar Simply Crafted Dog Food for $1.25 each & Cesar Canine Cuisine Entrees for $0.70 Each. Use a digital coupon with both of these products to get them for FREE!